Marko Stout’s name is becoming quite renowned in New York City’s gritty industrial pop style. 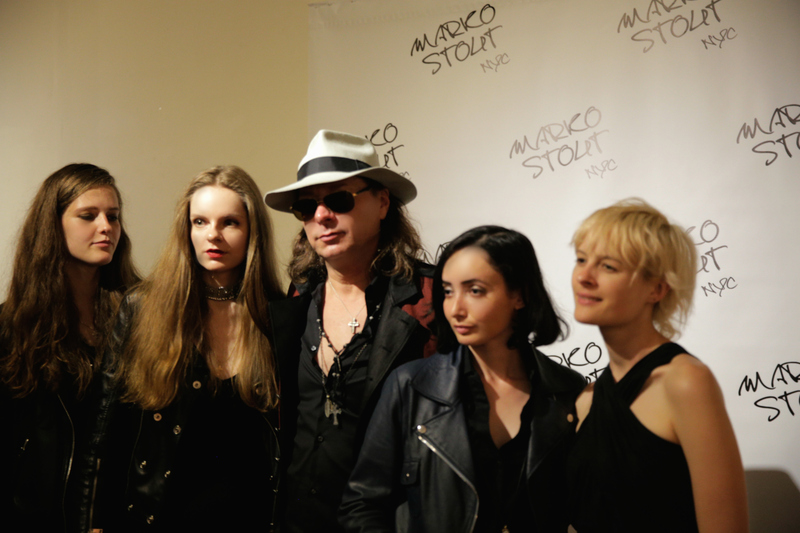 Marko Stout’s name is becoming quite renowned in New York City’s gritty industrial pop style. While most people are confined to a certain field, Marko Stout is a visual artist who doesn’t believe in limitations and boundaries when it comes to his work. His productions comprise of work from photography, video, film, new media, sculpture, painting and print as well. Not only is his work evocative, it is also full of multiple cultural references, allegories and meanings. His creative approach and his iconic style has often been likened with some popular performers, such as Andy Warhol, Roy Lichtenstein, Jeff Koons and Peter Blake. In the NYC art world, Marko Stout is considered a true rebel because he doesn’t believe in keeping a low profile. His own appearance speaks volumes about his creative approach and he has developed some trademark looks. Marko Stout is usually spotted wearing black clothes, vintage-style sunglasses, and unique hats that give him a different vibe. He style is distinctive and immediately recognizable and he is frequently spotted hanging out at clubs, art galleries and some of the best events in the community. When it comes to his work ethics, Marko Stout gets inspiration for his metal paintings through the photographs of models. Therefore, his work is often deemed to be quite close to perfection. He has also integrated digital tech into his art for creating an appealing artistic effect and he impregnates the masterpiece in aerospace grade aluminum, which gives it a modern and vibrant look. The artist had a very humble beginning. He lived on a houseboat in San Francisco Bay and hung out with his neighbor, who was a retired roadie and was also a trained painter by the Art Institute of Chicago. He also owned an art gallery and the two spent time together. Marko Stout was motivated by his friend and so he began selling his work at his friend’s gallery. This gave Marko the initial push and even though his friend overdosed on morphine, he gave a wonderful artist to this world. Since then, Marko Stout has only moved up in the art industry and made a solid name for himself. In the last couple of years, Marko Stout has been quite active and has done some truly exceptional work. He has become one of the city’s most influential artists because his work is easy to relate to. This could actually be his winning card as this is the reason his work is treasured and well-received. As a matter of fact, his work has earned him appreciation from international collectors as well as numerous celebrities. The Kardashians are known admirers of Marko Stout’s work. With every passing year, it seems that Stout only gets better and so his work is sought-after by celebrities, dealers and galleries. Due to this popularity, Stout has also launched his superb line of cool and casual urban section by the name of ‘Urban Tribe’. His unique style is definitely earning him more fans and his work is featured in various workspaces, clubs, and other environments.